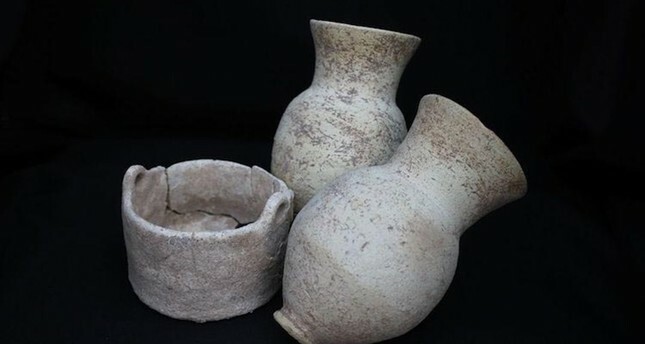 The remains of 2,500-year-old clay vessels believed to have held beer were unearthed in the Kani Masi area of northern Iraq near the border with Turkey, according to an archeological research report. The study – co-written by Claudia Glatz, a lecturer of archeology at the University of Glasgow – was published in the Journal of Archaeological Science. Glatz said the vessels contained traces of fermentation and barley, pointing to beer as their likely contents. The discovery is significant, as true archeological evidence of the production of fermented drinks in Mesopotamia has been difficult to find. Most of researchers' conclusions have come from studying drawings and writings, Glatz said. The discovery in Kani Masi is one of the oldest-discovered chemical evidence of beer. Adding that beer is not only used in the Mesopotamian kitchen but also a social aspect of ritualistic practices, Glatz said, "In many ways, we are talking about a drink that defines Mesopotamian identities." In order to avoid chemical contamination, co-researcher Elsa Perruchini of the University of Glasgow took extra care and wore gloves during the excavation. "During the excavation, people usually touch everything, so they leave their remains on them. A particularly troublesome contaminant comes from sunscreens, which are often used in excavations in areas with abundant sunshine," Glatz explained. "According to Perruchini, some chemical compounds in sunscreen are similar to wine, which can be confusing for archaeologists in some cases. Deciding to establish laboratory conditions in the excavation area, Perruchini began to handle the newly extracted pots with gloves to obtain more reliable results," she said. Perruchini's meticulous work helped the reliability of the archeological results, Glatz said, adding that there is little debate on the organic remains the team found. The traces found in Kani Masi suggest that the beer has been put in the vessels between 1415 and 1290 B.C. According to the study, the oldest-known physical evidence of fermented drinks dates to the end of the fourth millennium B.C., in the presence of calcium oxalate, a visible byproduct of the brewing process, found in a ceramic container in Iran. Writings from the Mesopotamian era also describe the drinking of beer. Among the best known examples is the Sumerian excerpt to Ninkasi, the goddess of beer, written in 1800 B.C. Beer is also mentioned in the Epic of Gilgamesh, dating back to 2100 B.C., often regarded as the oldest-surviving great piece of literature.